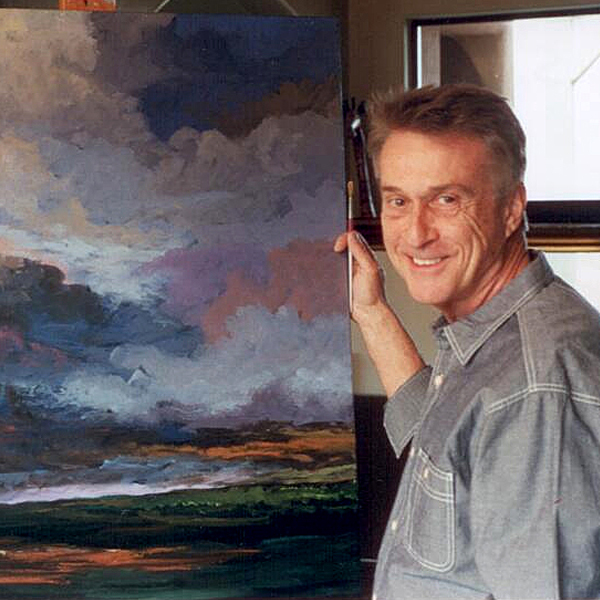 Accolades: Tom deDecker has won numerous state and national awards, including Artist of the Year, 1986, and Outstanding Artist given by the C. M. Russell Museum. Bio: Tom deDecker Original Paintings Thomas deDecker was born in Appleton, Wisconsin, and studied at Brigham Young University in Provo, Utah. His paintings of western landscapes and of the American Indian lifestyle are reminiscent of works by the masters of the Hudson River School of Art. He feels that the essence of a successful landscape painting is in capturing not only the visual scene, but also a mood that transcends any particular moment in time. This is possible only if the artwork can in some small way alter the viewer's state of mind and inspire them to pause for reflection. Many artists have been drawn to the unique western landscapes of the United States, but few have followed the romanticism of the masters.